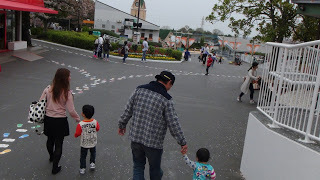 It was a fine day and we grabbed our jackets for anticipation of the cold wind in that remote area of Nara Prefecture. The family was set to go after the “Ge Ge no Kitaro and One piece episode”. It was Sunday and off we go for intended sightseeing and trek to the mountain of Muro where Japan’s tiniest five-story pagoda sits. It was a short drive from Mie and more near when taking Kusoku Doro (Highway) It was an enjoyable walk with my two boys, as usual. And all had been recorded for you guys. So we are not just us, you are there with us through this post. Located at a remote area of Muro, Nara Prefecture. The story is in the video so those don’t like videos much, then please enjoy reading instead.. This temple is the first temple who accepts women worshippers since the Kamakura Period (1185-1333) thus named woman’s Koyasan. A temple that is very welcoming of monks of different denominations. 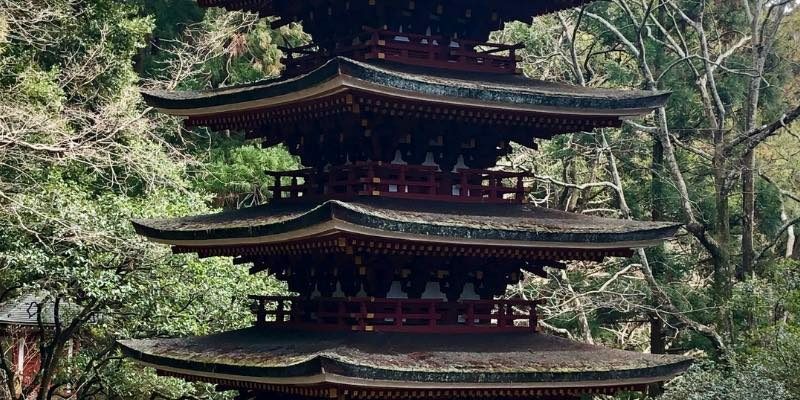 The Koyasan in Wakayama is the end of the pilgrimage route in Kumano Kudo that is considered and preserved also as a World Heritage. The beauty of the forest itself. A day of being in awe of the view of the amazing pagoda and the surrounding ancient trees (they are huge, believe me!) of the forest. Just like we do, your family will surely enjoy this trip. This looks beautiful I am only imagine how breathtaking it was in person. Looks beautiful. Hope you had fun! This looks like a beautiful temple. I love that they are open to monks of all denominations. Nice! I have always loved Japan. Been to Nara 3 years ago. I would surely add this when I go back to visit the Prefecture hopefully next year. The Muruoji temple looks beautiful. Thanks for sharing! 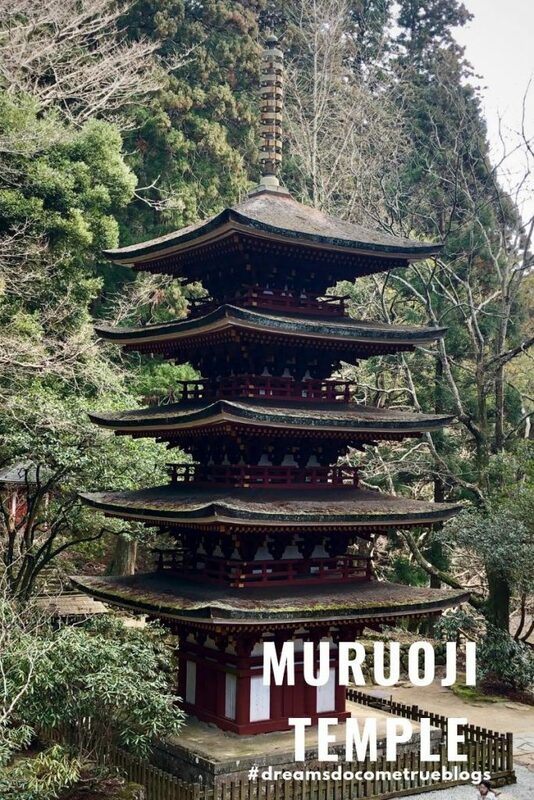 Thanks for sharing the wonderful post about murouji temple. Thanks for this guide! It looks like a place I should add to my travel bucket list. Looks beautiful! Thanks for the video as well! Looks so lovely! I love Japanese architecture. Also thank you for always educating the reader about the history of the places you visit. I thought it’s very cool this is one of the first to let women worship. Murouji Temple is one of the great and beautiful temple in the whole world. I hope I have a chance to visit this place. You can! 🙂 And bring home lots of happy memories! I have never been there but I would love to be there. Such a lovely place. Heading to japan in April and really appreciate this review. Adding this to our trip for sure. The temple is too precious! It’s so beautiful and it reminds me of those Asian dramas I watched. What a beautiful structure! I am always amazed with how much detail they put into temples and Murouji is not an exception! True! And they are strong and sturdy after hundreds of years! Amazing architecture too! So interesting! Looks like a beautiful and serene place to visit. Such a peaceful place it seems worth like going to woods from the city. Looks beautiful and mysterious! I wonder why there is 5-leyers of roof in this temple. such a beautiful temple. thanks for sharing your experience. sound like you had an amazing time there. I have seen this in friend’s photos or on TV shows but never been to this place. Thanks for the share! It is lovely and much more in person. Japan never fails to amaze me, before, never knew it could be so interesting! That temple is so pretty! I would love to check something like this our someday! Thank you for sharing! This temple looks like the most peaceful place in the world! 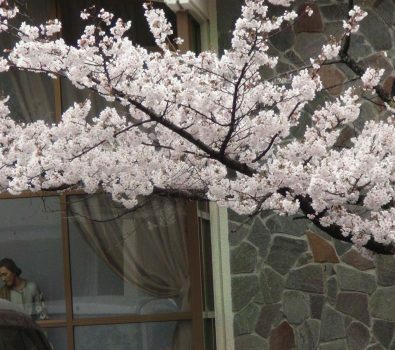 Japan has always been on my list and the more I read blogs about Japan, the more I really want to see it with my own eyes. Thank you so much for posting this. I am again reminded of how beautiful this country is. Looks beautiful I would love to see it in person. These is a very place. I would love to seeit someday and take photos. Looks serene and calm. A great place to relax.